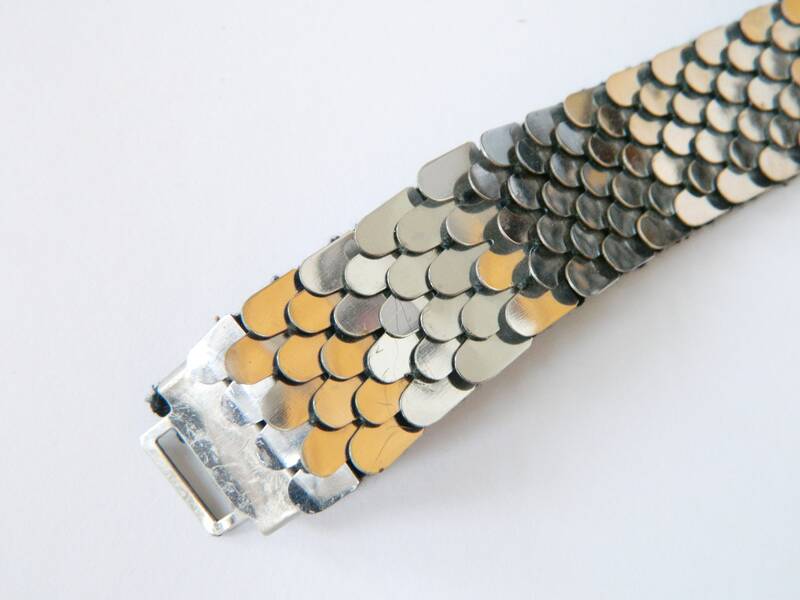 Silver-plated metal belt in "platelet" design. 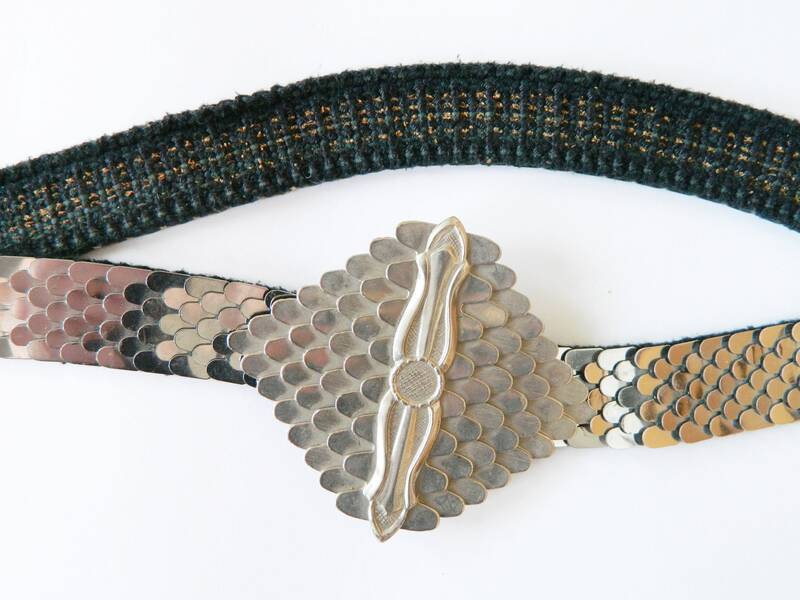 In addition, a large metal buckle makes this belt look very noticeable. The buckle can be turned off. Very good vintage condition. 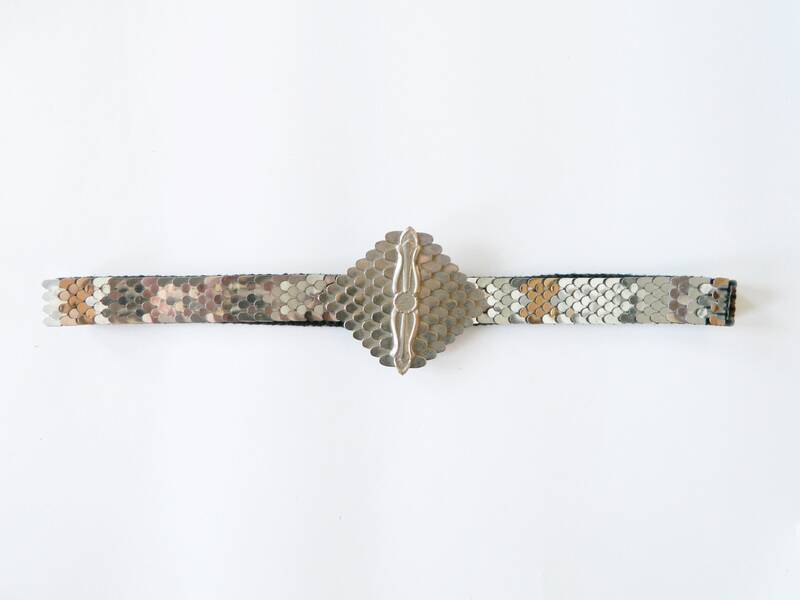 Belt from silvery metal in the "Panel" design. 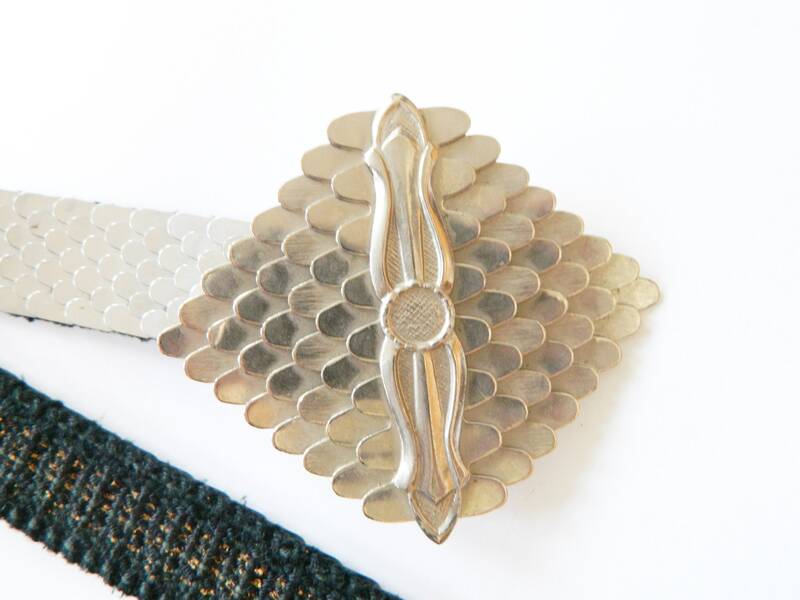 In addition, a big buckle from metal lets this belt look very remarkable. The buckle can be taken. Very good vintage condition. 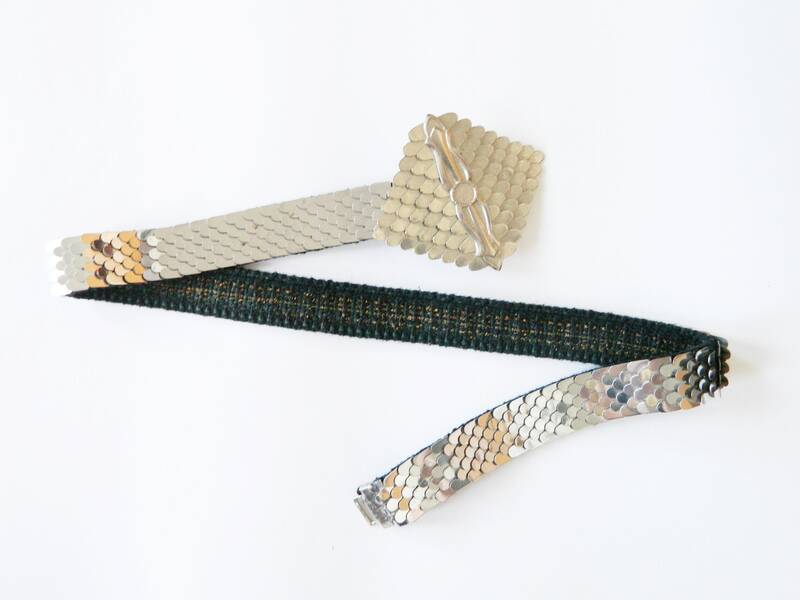 -Total length 79 cm to 100 cm stretchable, stretch 31 "-39"
-wide 2.5 cm, 1 "
-width/Buckle 9 cm, 3.5 "
-Height/buckle 8 cm, 3 "
Belt from silvery metal in the "Shed" design. 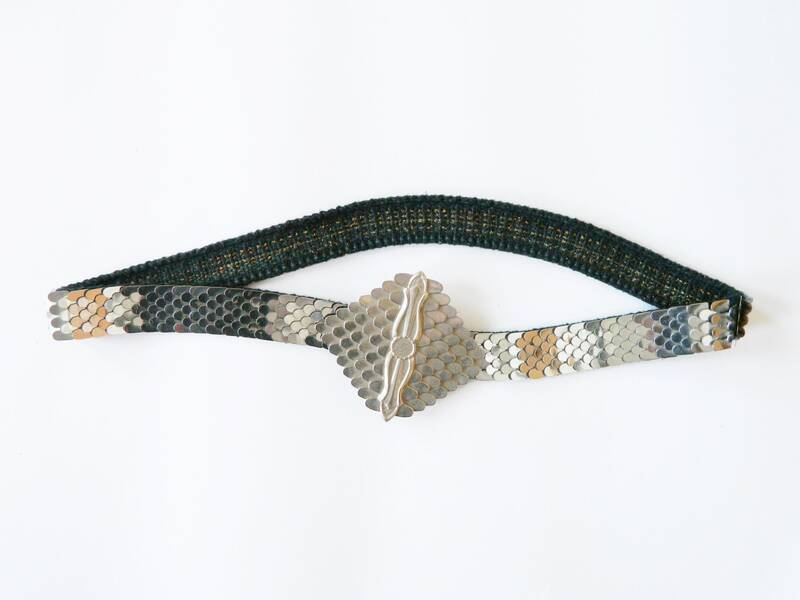 In addition, a big buckle from metal lets this belt look very remarkable. The buckle can be taken. Very good vintage state.